ESO Supernova Exhibition — What are the fundamentals of our Universe? What are the fundamentals of our Universe? In the Universe it does not matter where you are or in which direction you look – you will always see the same picture of expanding space, with distances between galaxies becoming ever greater. 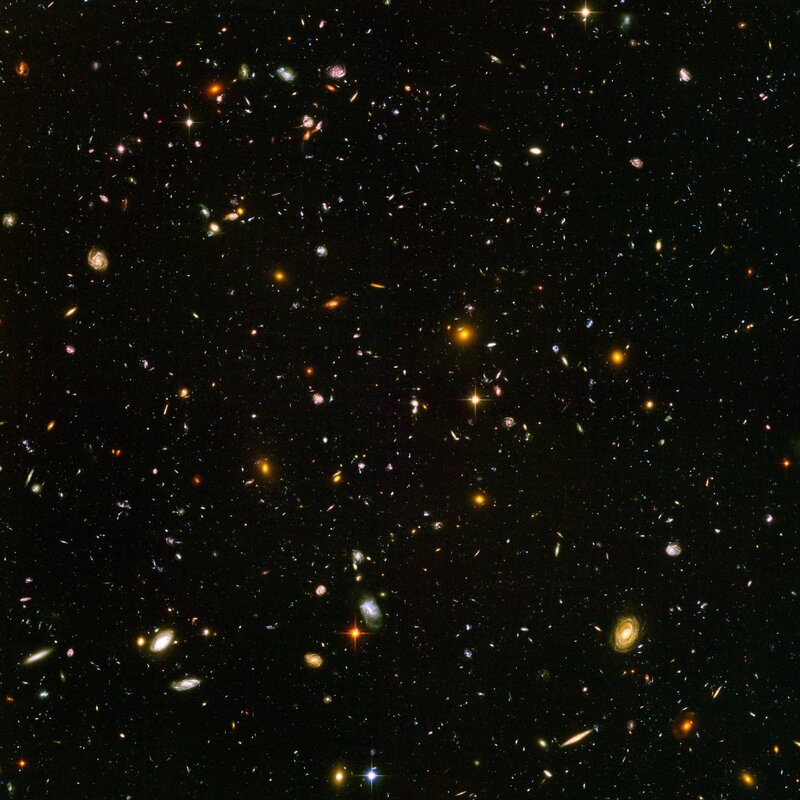 Panoramic view: Galaxies are grouped in clusters and superclusters, but at scales larger than a few hundred million light-years, our cosmos looks the same everywhere. Relatively important: Albert Einstein’s general theory of relativity, formulated in 1915, is the cornerstone of current cosmological thinking. It describes the properties of space, time and gravity. Wherever you are and in whichever direction you look, the Universe looks the same – at least on the largest scales. Also, in line with Albert Einstein’s general theory of relativity, empty space itself is expanding over time. The result is that the distances between galaxies are increasing – not because they are moving through space, but because space itself is expanding. Light travelling through expanding space is stretched towards longer wavelengths; this so-called redshift is a measure of the light’s travel time. Uniform Universe: At the largest scales, our Universe is remarkably uniform. This map shows the tiny temperature differences in the cosmic background radiation. Toy Universe: Using the standard cosmological model, computer simulations of the evolution of the large-scale structure of the Universe are in extremely good agreement with observations. If you bake a cake, the dough expands in the oven. Raisins in the dough end up further away from each other than when you prepared the cake, although they don’t actually move through the dough. The same is true for galaxies in expanding space.